Children’s birthdays are wonderful opportunities for celebrating. I prefer simple celebrations for my children: a few friends, a park, some great food and a few well-chosen gifts. Anything more than that and I get whipped up in a frenzy of shopping, preparation, cleaning, crowd control … I don’t enjoy myself and my children get overwhelmed with everything that is going on and we all kind of collapse in a heap at the end of it. Some of the best children’s birthday celebrations I have participated in have taken no more than 10 minutes in a ceremony that acknowledges how special the child is. 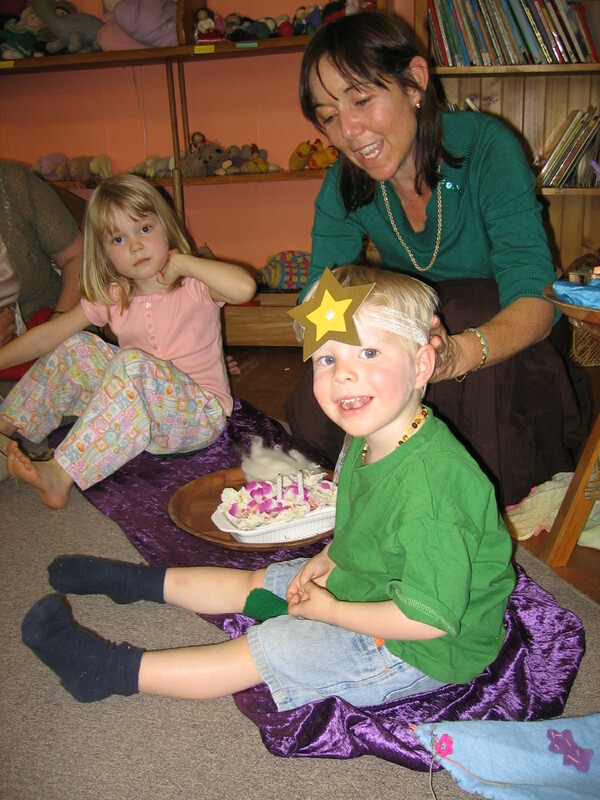 Here is my son at his playgroup celebration on his third birthday: a crown, a cape, a song, a story and a tiny gift was all it took to create a lasting memory and a warm fuzzy feeling. I like to acknowledge the children’s birthdays at my playgroup too – the crown they wear for their little ceremony is their gift. 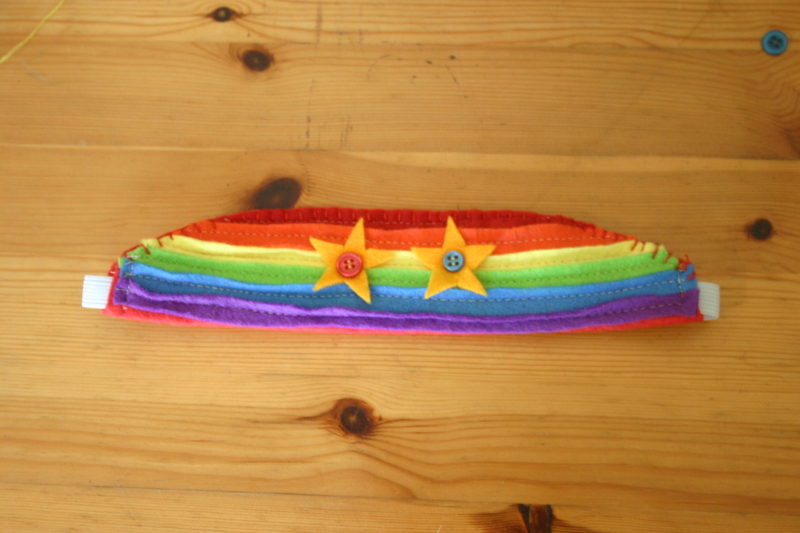 This year I’ve chosen to make rainbow crowns because we love rainbows 🙂 Here’s how I made them. Cut a length of red felt that, when it is doubled over, is enough to cover your child’s brow. 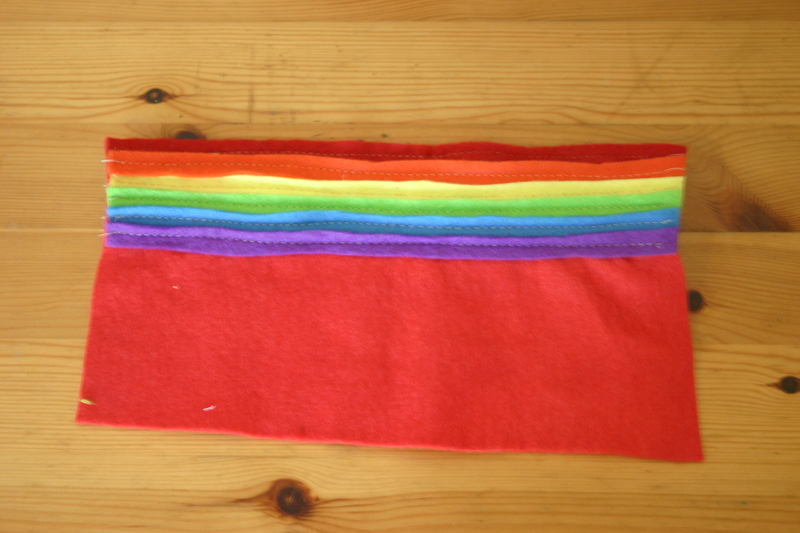 Then cut strips of coloured felt, about 1 cm wide to sew the rainbow. One by one, sew the strips along the length of the red felt base. 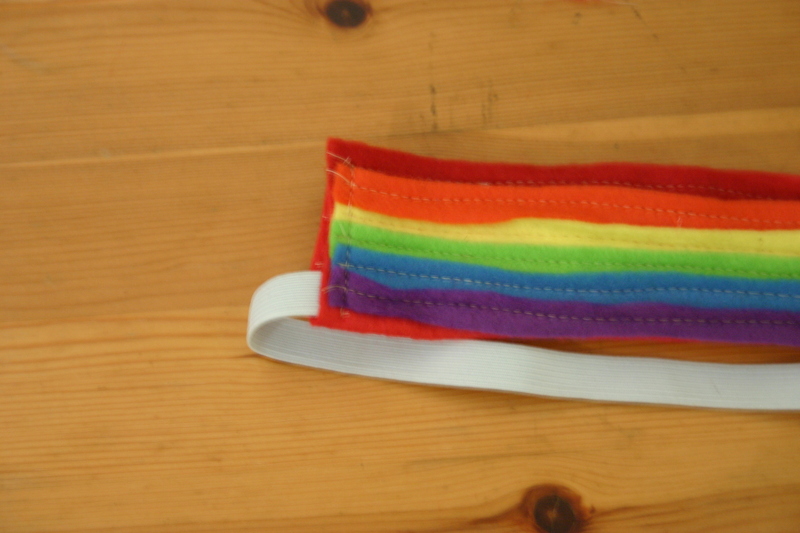 Slightly overlap each coloured strip as you sew it. 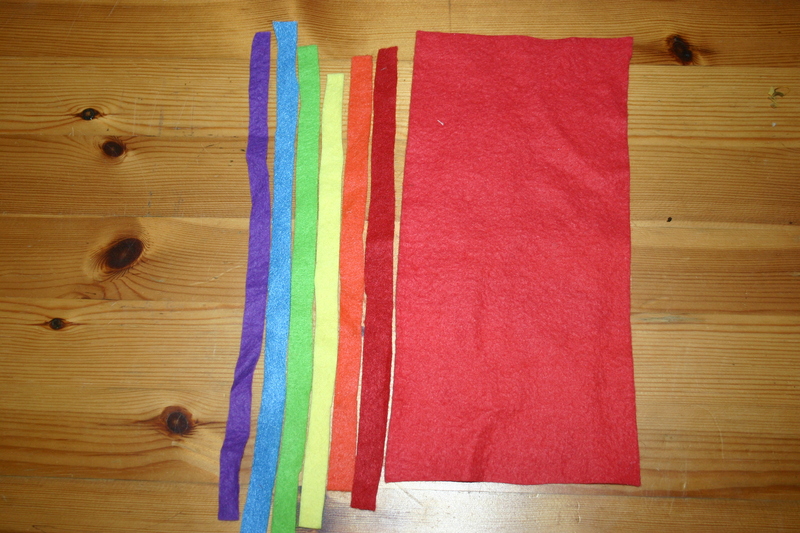 Fold the red felt up behind the coloured strips and trim it to shape. 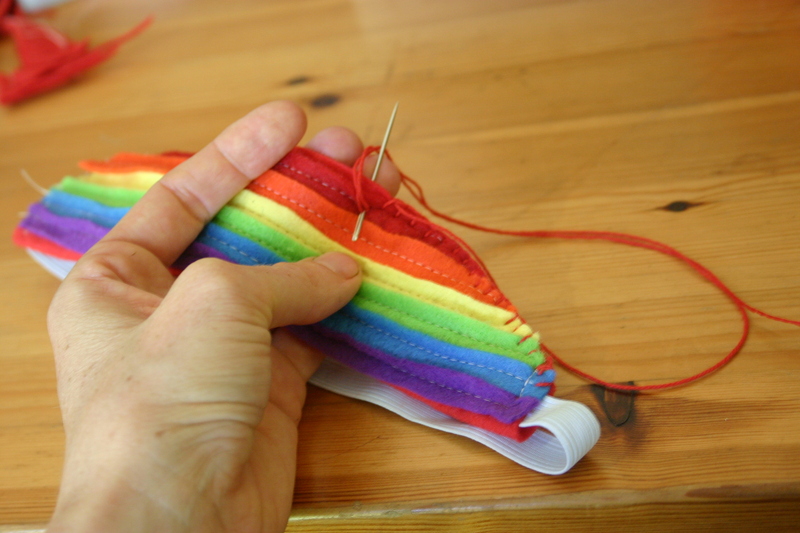 Stitch one end of your elastic firmly between the folded felt. Stitch up the whole end of the rainbow. 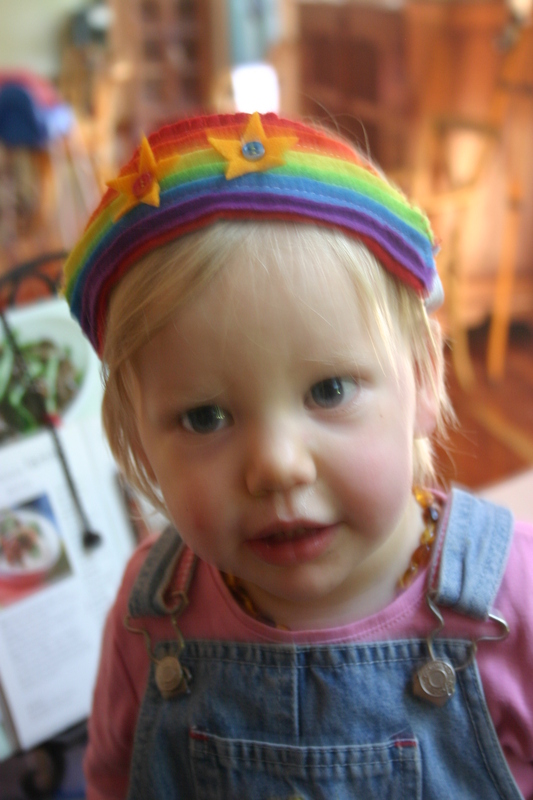 Measure the crown on your child’s head to get the right length of elastic to stitch on the other side. Add a few decorations if you wish. This crown is for a 2-year-old so I have added two little stars.